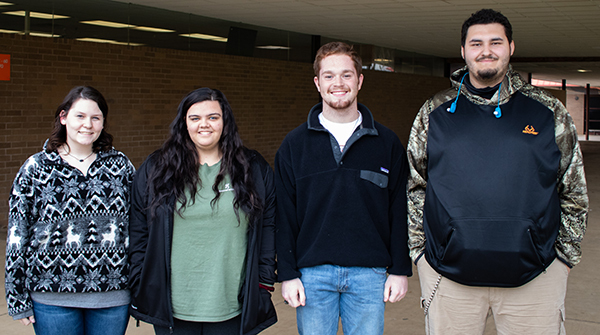 Texarkana, TX – Four Texas High School Health Occupation students are now advancing to the Health Occupations Students of America (HOSA) Area Competition to be on February 1-2 in Plano, TX. Following a Regional Competition on December 12, the THS HOSA Student Team of Breanan Cranford, Grayson Gunter, Logan McCloskey and Landry Windham was named one of 10 qualifying teams for the Area event in the category of Health Sciences Creative Problem Solving. HOSA’s mission is to empower future health professionals to become leaders in the global health community through education, collaboration and experience. The THS HOSA Team Advisor is Joe Nolen.